The main opposition, National Democratic Congress (NDC) is questioning the government’s decision to appoint a Director for the yet to be completed Keta Port as they describe it as unacceptable. 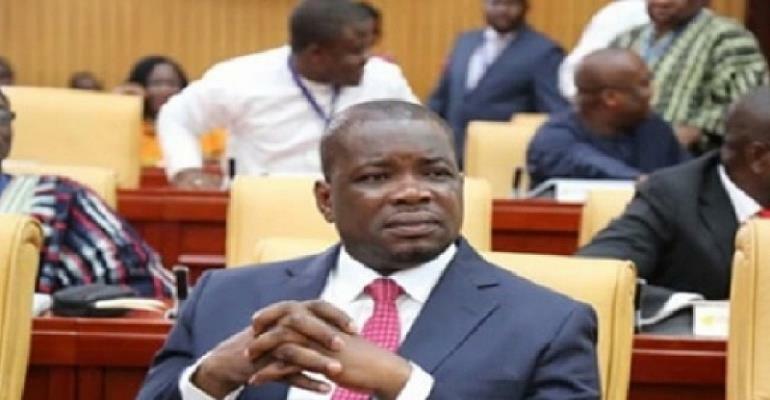 The government in April 2018 signed an agreement with Diamond Cement Ghana Limited to begin the construction of the Port at Keta in the Volta Region. The edifice is however yet to be completed as visibility continues on the site for its construction. Meanwhile, Transport Minister, Kwaku Ofori Asiamah in a letter dated March 29, 2019, announced the appointment of Dr. Alexander Y. Adusei Jnr as Director for the Port. Speaking to Class FM on the latest decision by the government, Minority MP and Ranking Member on Parliament’s Road Transport Committee, Honorable Kwame Agbodza kicked against the appointment whiles citing that it is needless to appoint a Director at this stage when the Port is not ready for use. “We all know there is an intention to build a Port at Keta, it didn’t start under this government. We know there is supposed to be a visibility ongoing which is even inconclusive”. “As to whether we need to appoint a director for the Port which doesn’t exist yet only with the explanation that that director will be the one looking into making sure the Port project actually comes on is not realistic because there are so many people at the Ministry and the Ghana Ports and Harbors Authority that can supervise that effectively”, Honorable Kwame Agbodza said. He further stressed that he would have immediately terminated the contract if he had the power to do so. “So I think this is ridiculous. It’s unacceptable and if I had my way that appointment should be terminated immediately and allow somebody at the GPHA or the Ministry to take up that responsibility until the Port is built”, he said.